Mobile discos in Edinburgh - PAT tested. Kids Parties, Anniversaries, birthdays. Wedding Disco in Edinburgh - Marquee uplighting, Gobo projectors. Looking For hire a mobile Disco in Edinburgh? We have a great range of disco packages available, with something to suit everyone! Located in the heart of Edinburgh, making it extremely easy to collect the disco your hiring. We have a selection of packages and also individual disco party lights so you can build your own unique kids party! With 30years in the Sound & Lighting industry we are able to insure you get the Perfect gear for your event. Fully PAT tested!!! 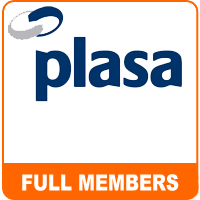 Using your Laptop at a venue that requires PAT Testing? 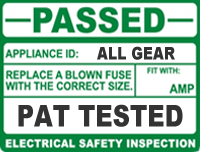 Don't worry we offer a PAT testing service! Remember these packages are designed just for kids! Any adults having parties should not think of these as penny pinching alternatives to adult systems. Our Basic Kids sound system is very portable. Great for small house parties, where that extra boost of sound is needed. great for upto 30 kids. With an integrated iPod docking system allowing for easy plug and play functionality. You can also plug in a laptop or microphone for added flexibility. With the Added bonus of being a battery powered PA you can use it absolutely anywhere, gardens, parks, school halls churches! # Time required to fully charge the TAILGATER: ~ 6 hrs. Our Mini Party lights dance to the sound of the music to create a mini disco feel. Added strobe effect. Not for use with younger kids parties! Having a School Disco in Edinburgh? Get your Head teacher to contact us about special deals available for School events! Disco Hire edinburgh are proud to offer the perfect disco hire for people who have and iPod or laptop but require a mixer to input it into a soundsystem with proper EQ, Having a party and want to impress your friends with a professional Disco system, this is perfect for you! We provide you with all the leads, it's all plug and play and extremely easy to use, at a very good hire price!!! Our Twin CD Mixer combo's allow full flexibility. Input your Laptop / iPod, or use the built in CD player! The two moonflower lighting effects! Automatically move to the music creating patterns where ever you point them. Having a party and want to impress your friends with a professional Disco system, this is perfect for you! We provide you with all the leads, it's all plug and play and extremely easy to use, at a very good hire price!!! Our Disco front adds to that retro feel! Automatically flashing to the music. The four moonflower lighting effects! Automatically move to the music creating patterns where ever you point them. By hiring our Sumo kit's you get to experience all the fun and excitment straight away!